Horace Small Heritage Trousers Lend A Professional And Neat Look To Law Enforcement And General Employee Workers Uniform. 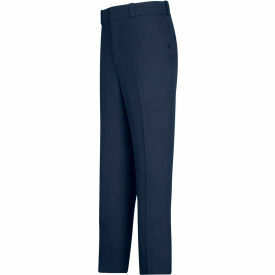 Horace Small Heritage Trousers are made of poly-worsted wool blend to provide long lasting durability and comfort. Brass ratcheting zipper, crush-proof hook and eye closure, quarter-top front pockets, double-welt topstitched hip pockets with triangle bartacks and button-tab, left-pocket closure provide wearer comfort. Bartacks at all stress points. Crotch lining. Available styles are Heritage All-Season and Heritage Trouser. Available colors are Dark Navy and Pink Tan. Variety of Men's and Women's sizes available. Horace Small New Dimension® Trousers Are Great For A Law Enforcement Workers Uniform. Horace Small New Dimension® Trousers are made with mechanical poly-cotton stretch fabric to provide long lasting durability and function. Repellent outer finish combined with a wicking inner finish provide a neat and clean appearance. Brass ratcheting zipper, crush-proof hook and eye closure and quarter top reinforced front pockets provide easy maintenance. Left and right hand cargo pockets with inverted pleats and hook and loop flap closures provide convenience for carrying small objects or tools. Right side cargo pocket has instrument pocket with two snap closures. Back hip pockets with button through closure on left hip pocket. Bartacks at all stress points. Diamond crotch gusset. Available styles include Basic Trouser, EMT Trouser, Cargo Trouser and Short Cargo Trouser. Trousers have 4, 6 or 9 pockets. Men's and women's shorts and trousers available in a variety of colors and sizes. Horace Small New Generation® Trousers Are Suited For Law Enforcement And Security Guard Workers. Horace Small New Generation® Trousers are made of polyester/worsted wool or lycra blends to provide long lasting durability and comfort. Brass ratcheting zipper, crush-proof hook and eye closure, quarter top front pockets, double-welt topstitched hip pockets with triangle bartacks and button-tab left-pocket closure provide high quality style. Left and right-hand double-entry cargo pockets with zipper and hook and loop closures provde carrying areas for small tools or instruments. Bartacks at all stress points. Crotch lining on men's styles. 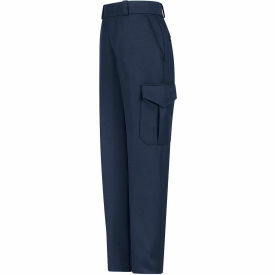 Men's and women's styles available in Serge Trouser, Stretch 4-Pocket Trouser and Stretch 6-Pocket Cargo Trouser. Available colors are Dark Gray and Gray Heather. 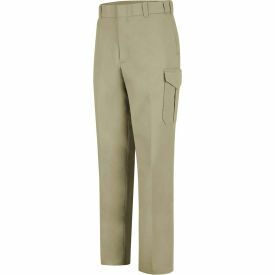 Horace Small Sentry Trousers Are Used For Security, Miltary And Sentry Uniforms. Horace Small Sentry Trousers are made of 100% polyester. 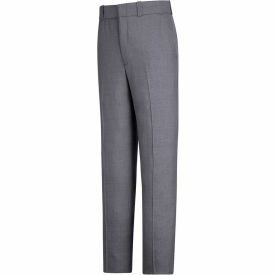 Pants feature gabardine weave to provide long lasting durability. Wickable soil release provides easy maintenance. Double welt, topstitched hip pockets, Cool-Flex® with Ban-rol® technology in the waistband, and bartacks at all stress points provide wearer comfort. A lined crotch is offered in men's sizes and Horace Small Comfort Cool-Flex® waistband in women's sizes. Men's and Women's styles available in Sentry Cargo Trouser, Sentry Trouser and Sentry Ultra Trouser. Available in a variety of sizes and colors. Horace Small Virginia Sheriff Trousers Are Used By Uniformed Officers. 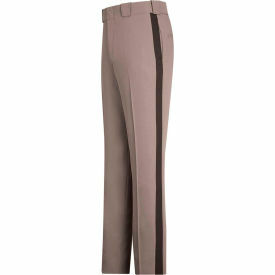 Horace Small Virginia Sheriff Trousers are made of 100% polyester to provide long lasting durability. Trousers are based on the specifications mandated by the state of Virginia. Brass ratcheting zipper, crush-proof hook and eye closure, straight front pockets with triangle and reinforced pcoket bags provide rugged style. Double-welt, topstitched hip pockets with triangle bartacks and button-tab left-pocket closure. Front and back double-crotch lining. Men's and Women's styles available in a variety of sizes. Color is Pink Tan/Brown Stripe. Horace Small New Dimension® Special Ops Polo Shirts Are Used For Military, Police Enforcement Or Government Agents. Horace Small New Dimension® Special Ops Polo Shirts are made of poly-cotton fabric blend to provide long lasting comfort and breathability. Dri-Balance® technology wicks moisture away from body to keep wearer dry. Two concealed mic pockets, a double-layer sweat patch on the center back, vented side panels, and a no-curl collar provides areas to conceal microphones or other items. Available styles include Special Ops Long Sleeve Polo and Special Ops Short Sleeve Polo. Available colors vary by model. Comes in sizes: S-4XL. Unisex style. 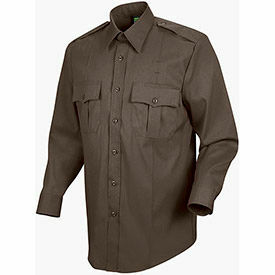 Horace Small Deputy Deluxe Shirts Are Heavy Duty Uniform And Work Shirts. Horace Small Deputy Deluxe Shirts are made with a tropical weave of 65% Polyester/35% Rayon blend to provide long lasting durability that retains color for continuous wash and wear. 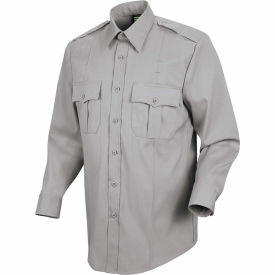 Shirts have two-ply fabric and silicone permanent creases to provide additional material stability. Break-resistant melamine buttons are strong enough for industrial work environments. Added length to sides keeps shirt tucked. Shirts are designed to accommodate body armor. Men's and Women's sizes available in 14 x 31 to 20.5 and from S-2XL. Available colors are Brown, Dark Navy, French Blue, Gray, Light Blue, Silver/Tan and White. Available in Long- or Short-Sleeved. Horace Small 3-N-1 Jackets Are Used For Law Enforcement Or Security Uniforms. Horace Small 3-N-1 Jackets are made of nylon shell and nylon w/Primaloft insulation liner to provide long lasting durability. Soft-shell construction provides exceptional fit, warmth and stretch for wearer comfort. Finish is water and wind resistant. Pit zips for ventilation and climate control. 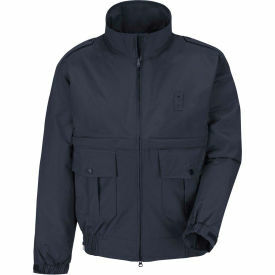 Available styles include APX Jacket, 3-N-1 Jacket, New Generation 3 Jacket and Sentry Jacket. Available colors include Dark Navy, Black, Brown and Midnight. Sizes range from S-5XL with short and long styles. Unisex style. 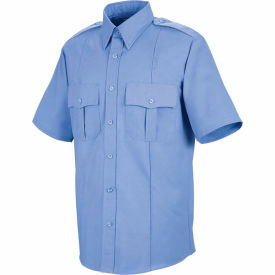 Horace Small Sentinel® Security Shirts Maintain Professional Appearance For Security Officer Uniforms. Horace Small Sentinel® Security Shirts are made with TouchTex II™ poplin and are pre-cured press with soil release and wickable finish to provide comfort and long lasting durability. Two-piece, lined and banded collar with collar stays, two hex style pockets, left pencil pocket, and functional epaulets help create professinal security presence. No creases. Shirts have badge tab with reinforced sling and eyelets. Tailored sleeve placket and added length keep shirt tucked. Designed to accommodate body armor. 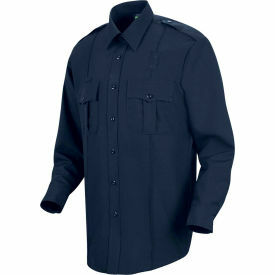 Available styles include Sentinel Basic Security Shirt and Sentinel Upgraded Security Shirt in Long- or Short-Sleeved types. Sizes range from SSS -4XL367. Available colors are Dark Navy, Khaki, Medium Blue, Navy and White. Cotton/Polyester blend. New Dimension® Shirts combine aggressive styling with performance features such as stretch poplin. Added length to sides helps to keep shirts tucked. Due to the poly-cotton fabric blend, these shirts not only perform all year, but are extremely comfortable and easy to maintain. Break resistant melamine buttons. Two-button cuff with button-sleeve placket. Pre-cured, soil-release finish. Heavy-duty interlining in collar, epaulets, pocket flaps and cuffs. Pleated pockets with scalloped flaps with hook and loop closure. Designed to accommodate body armor. Mechanical stretch for increased fit and comfort. Horace Small Sentry Shirts Provide Wearer Comfort And Easy Maintainance. Horace Small Sentry Shirts are made of 100% Polyester with VISA® treated fabric for optimal comfort and long lasting durability. Sewn-in creases and pleated pockets provide professional appearance. Break-resistant melamine buttons, two-button cuff with button-sleeve placket and pleated pockets with scalloped flaps with hook and loop closure. Designed to fit over body armor. 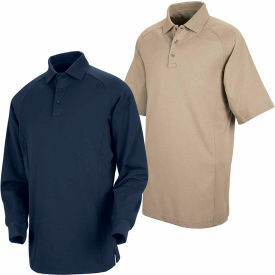 Available styles are Sentry Action Option Shirt and Sentry Shirt. Available sizes range from 14.5 x 32 - 20 x 38 and from S - 2XL. Men's and Women's shirts available in Black, Brown, Dark Navy, French Blue Heather, Silver/Tan and White.